FORT LAUDERDALE, FL, August 2, 2016	(Newswire.com) - ​The Multiple Sclerosis Foundation, an organization dedicated to helping people live at their best with MS, needs your help to grant an additional 30 wishes through its Brighter Tomorrow Grant by raising $30,000 before December 1. This grant is unique because it gives people with MS a chance to ask for something that no other program provides. Each applicant has the ability to customize the grant to suit their personal needs. A new refrigerator, a ukulele, or reclining easel for a bed-bound artist are a few of the wishes granted in the past. Sometimes a person’s wish may be something out of the ordinary. Others may be for things most would consider an everyday necessity (such as appliances, mattresses, or heating oil for the winter), and at times the wishes are for vital needs. “We fixed someone’s well one year. They hadn’t had water for a while,” Vicki Knobel, MSF Cyclical Programs Manager, said. Another year, a teen with MS was granted a voice. Jordan Cleveland was a boy when he was diagnosed with MS. As his disease progressed he lost the ability to speak. He communicates through an iPad provided by his high school, but when he graduates it would need to be returned to the school. Without the iPad he has no way to communicate with others. The MSF granted Jordan’s wish and gave him a third generation iPad last year. He uses it to talk through an app where he types on the iPad and it’s converted into a voice. It’s mounted on his wheelchair and his mom says he also uses it to shoot photos. Jordan was grinning ear to ear when he received his wish. In order for people like Jordan to have their wishes come true, the MSF is committing to a lofty goal: adding funds for an additional thirty wishes to the budget for this year’s program (which is currently expected to provide 100 or more grants). The Foundation depends on the generosity of the community in order to raise $30,000 in honor of its 30 years of service to people in the MS community. People who want to help make a brighter tomorrow for people with MS can call 888-MS-FOCUS or 888-673-6287 or make a donation online at https://www.blacktie-southflorida.com/online_sales/nonprofit_donation_enhanced.cfm?id=28366&campaignid=2118. 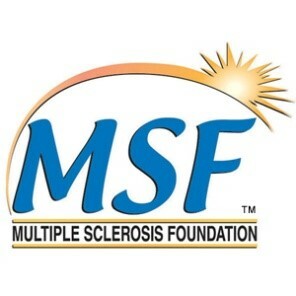 The Multiple Sclerosis Foundation is a leading publicly funded non-profit organization with national headquarters located at 6520 N. Andrews Ave., Fort. Lauderdale, Florida. Since 1986, the MSF is dedicated to providing a wide array of free nationally accessible programs and services designed to improve the quality of life for those affected by MS.